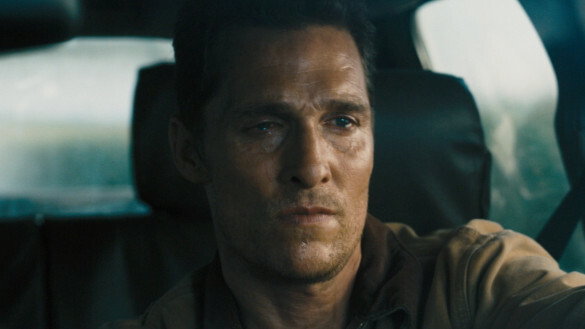 This week on the InSession Film Podcast, Nate Cunningham from Houndsports.com joins us as we review Christopher Nolan’s latest Interstellar, starring Matthew McConaughey and going off of that we discuss our Top 3 Space Movie Characters which was also a lot of fun. For our discussion segment this week, we re-visit our Over/Under segment as we look forward to what’s coming out the rest of November 2014. Nate is always a fantastic guest and we’d highly recommend his podcast, The Green Room Report! Also, keep Blake in your thoughts as he’s had a very rough week and has had some pretty difficult family matters. Hopefully things get better and we’ll have him back on the show soon. As we’ve done our Top 3 Space Movies, for this week’s top 3, we took it a step further and looked at our favorite characters from some of those films. Now, it’s easy for a few films to be featured heavily, so there is some criteria for a few of us, but overall we came up with some really fun and awesome space movie characters! And that being said, what would be your Top 3? RELATED: Listen to Episode 89 of the InSession Film Podcast!